Sometimes with all the new awesome places open, we forget about the staples. 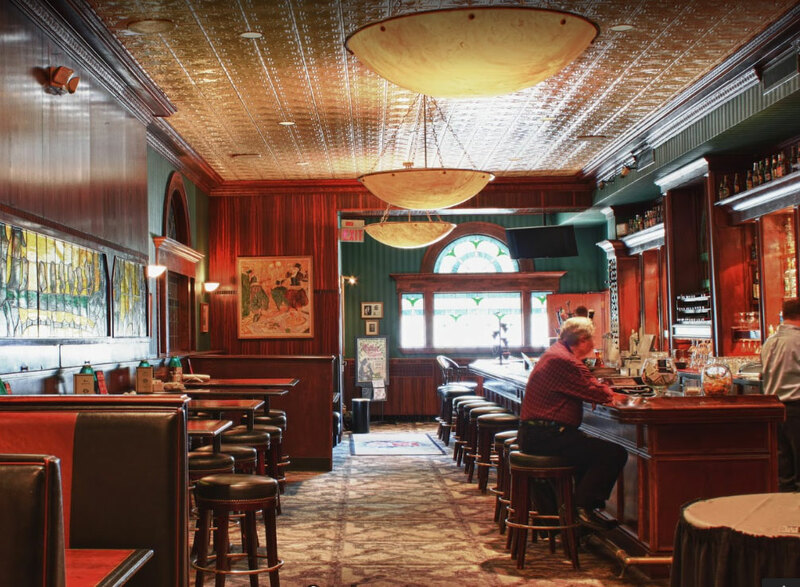 The institutions that have contributed to the local culinary scene. Jax Cafe is on regular rotation for me when I’m looking for good happy hour food. You get the full service (at bar only); well-dressed professional staff and excellent quality. Jax Cafe has a pretty small, but nice local selection of taps and a few cocktails on happy hour. They offer $4-5 Craft Beers (12oz seemed like a normal pour at every other bar; a bargain!) like Fulton, Summit, and Grainbelt NE. You can also get $7 Sangria or $8 select Craft Cocktails. 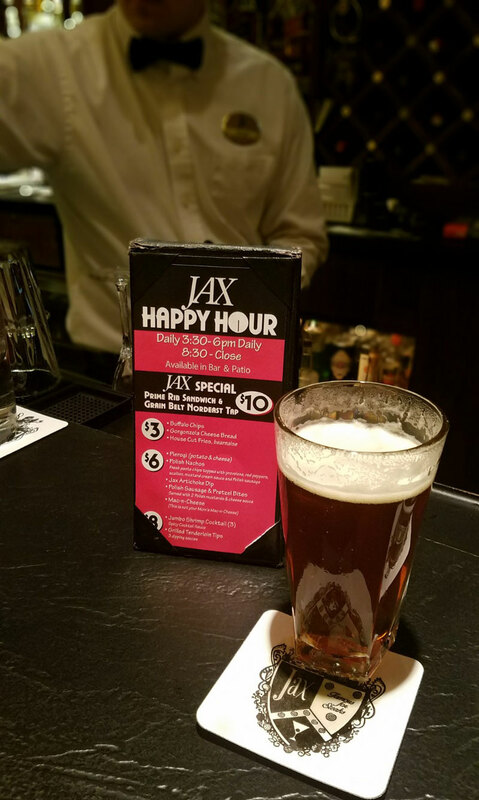 Yes, the drinks are good, but you come to Jax Cafe to eat the food, and on happy hour, you get full-sized portions off their menu for a tiny fraction of the price. Here are some of the best things to order. The ciabatta roll is decent, but people that are ordering this sandwich should be focused on the meat. 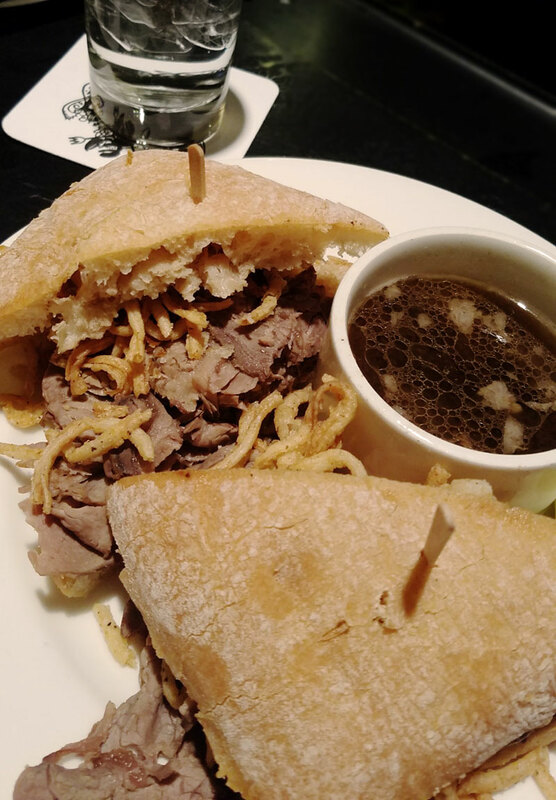 This giant Prime Rib Sandwhich comes stacked high with tender, juicy prime rib (I’m assuming from earlier in the night) and topped with fried onions and served with a side of Au Jus. Probably my favorite item. Tender rib tips, good char, some amazing house-made sauces for dipping…and VERY large! Wasn’t my absolute favorite, but I loved the crisp cheese on top and big, hearty chunks of artichoke. Served with ample (and free extra) slices of fresh baguette. Yum! 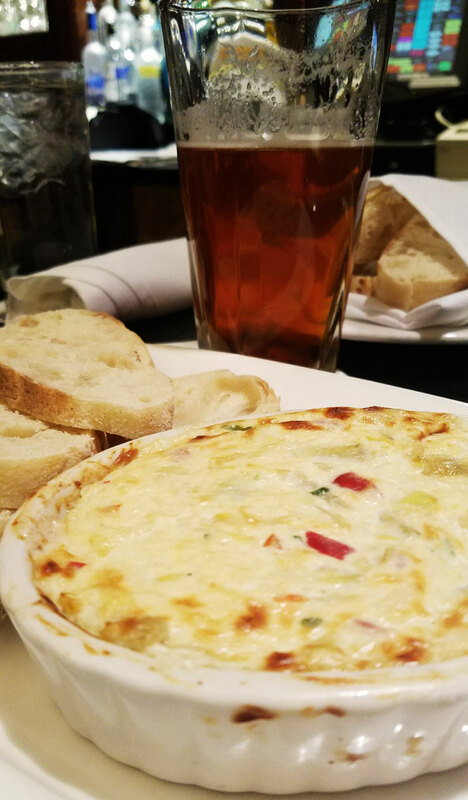 As of the time of this article, there is a daytime happy hour from 3:30 – 6PM and late night happy hour starting at 8:30pm and going to close. Please follow the link to Jax Cafe on ThriftyHipster for updated times and offers.